I am constantly discovering amazing small companies like stone + cloth on Instagram! 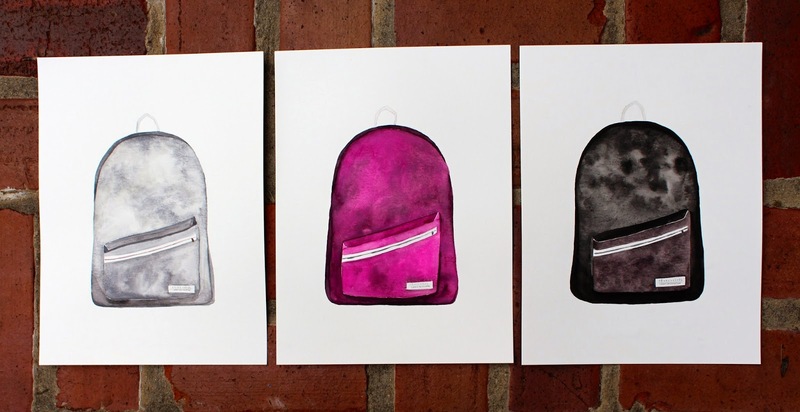 Their backpacks are all so cool, and I am still trying to decide on which one to buy. Plus, it's all for a great cause - to provide scholarships for those in need! Let me know which one is your favorite! Check them out on their website! ps: I'm following u on gfc and bloglovin' too (as u asked), waiting for u! I actually really like the gray one! Very cool. I followed you on GFC, Bloglovin', and Instagram. Would love if you would follow me! Followed you on Bloglovin and GFC. Follow back please!!! I love small companies and they are brilliant to collaborate with! I totally wish I could have had a backpack like this in high school! Too fun!! Oh wow. I love the scholarship part! Of course we can follow each other, I’m following you now on GFC (number 230, name Kati) so now it’s your turn to follow back! Thank you so much for saying hello on my blog! I followed on Bloglovin' and GFC and Twitter! :) I hope you follow back! Thanks for your sweet comment! Followed you now and hope you do me the same! I love backpacks! Thanks for this great post! I am definitely going to check out their company! I love these bags, specially the dark one. It's great how they are for a great cause! Wow, amazing backpacks! Would you like to follow each other? Geez. All 3 colors are amazing. Hi, I just discovered your blog and I liked a lot. Very nice posts. I think I like the gray best... Chill and classic! R: Just followed you.. Follow back?